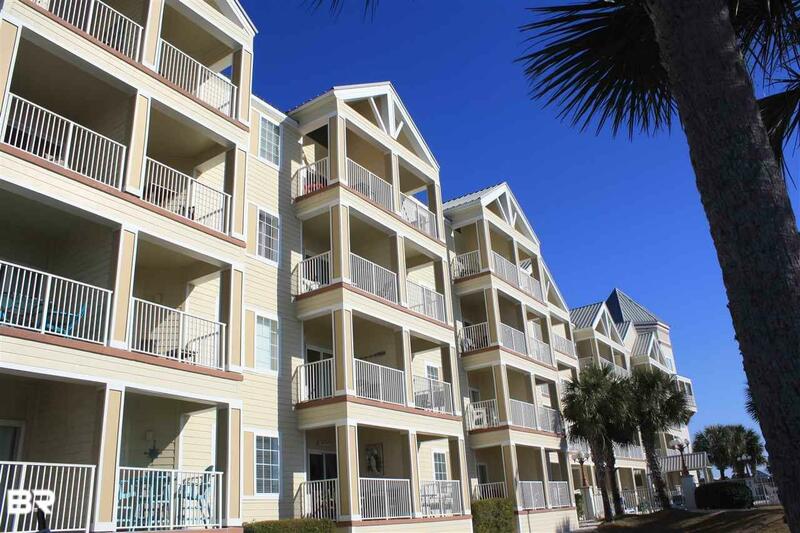 Enjoy beautiful Gulf views from this cozy 2BR/1.5BA unit at Grand Caribbean. Great Location in the Heart of Orange Beach - Walk to Restaurants, Shopping and More! Master bedroom on main level with kitchen, dining, living combo. Spiral stair case leading to 2nd floor loft bedroom. Enjoy the Boat Launch Next Door, Public Beach Access across the street, and the Gulf State Park Trail Behind the Building. Onsite First Come First Serve Boat/Trailer Parking. Unit conveys with a deeded covered parking space. Directions: From The Intersection Of Hwy 161 And Perdido Beach Blvd, Go East Less Than 1/4 Mile. Complex Is On The North Side Of The Road.